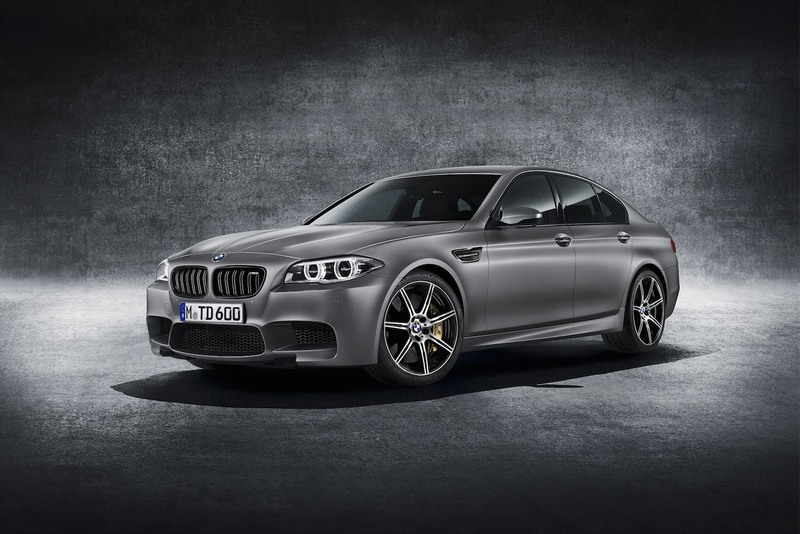 Along with your humble writer, BMW’s M5 supersaloon also hits the big three-oh this year. 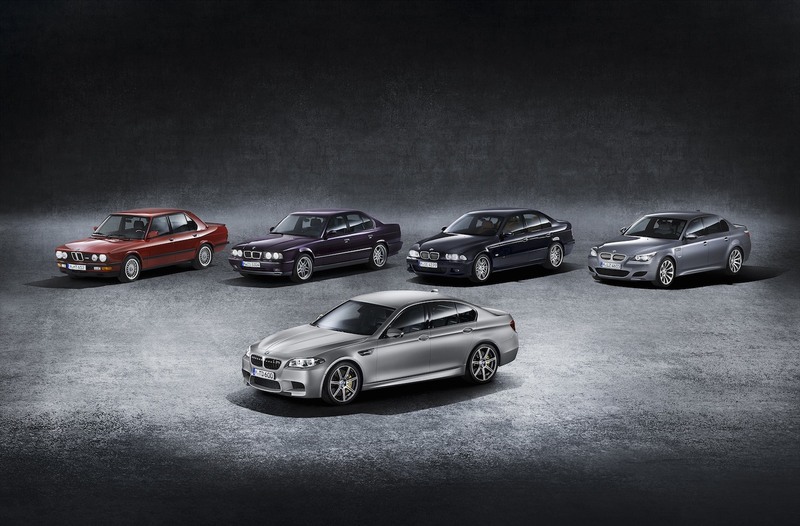 To celebrate the M5’s three decades in production, BMW has released a limited edition packing big horsepower and special finishing touches. Better than a cake and candles. Latest M5 decided to get the family round for a birthday party. Only 30 cars will be offered for sale in the UK, out of a global total of 300, meaning you’ll have to be fairly snappy if you want one. The big numbers are the boost in engine output – power increases to 600 bhp (up 40 bhp over the standard car) with torque at an internal organ scrambling 516 lb-ft. All this results in a 0-62 mph in 3.9 seconds, some 0.4 quicker than the regular M5. The additional performance has been gained through tweaking the ECU and turning up the boost from the turbochargers. Then again, given the £91,980 price tag, you’d be wanting a substantial improvement over the ‘normal’ twin-turbocharged V8 car. The 30 Jahre Edition comes fitted as standard with the Competition Package, itself a £6,700 option usually, which includes firmer springs/dampers; 10mm lowered ride height; uprated M Differential settings and 20″ bi-colour alloy wheels. 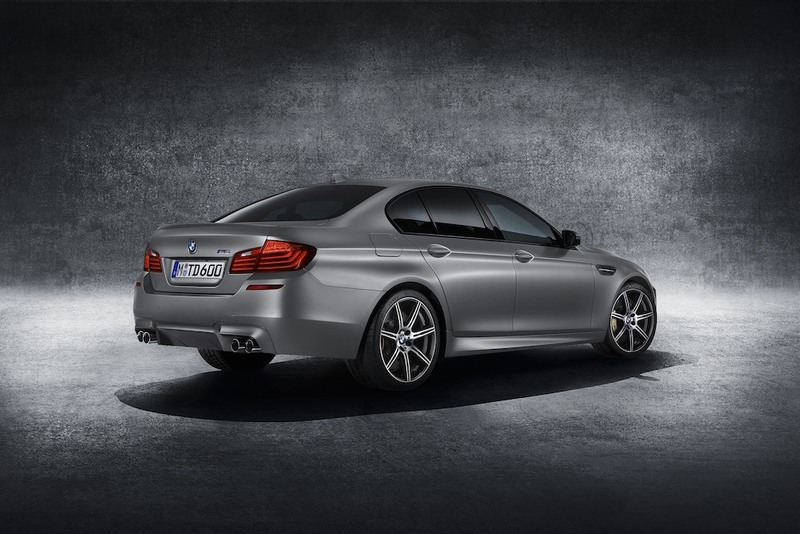 We’ll admit to not being huge fans of those wheels, looking a bit too ‘spindly’ on a substantial car like the M5. However, we do like the standard Frozen Dark Silver paintwork and black chrome detailing on the front grille, exhaust pipes and front wing inserts; the latter bearing a special plaque. Inside, ‘30 Jahre M5’ is included on the door sill trim, dashboard and embroidered into the backrests of all four seats. No excuse for forgetting what you’re driving. Dark Aluminium Trace interior trim continues the subtle grey theme internally. 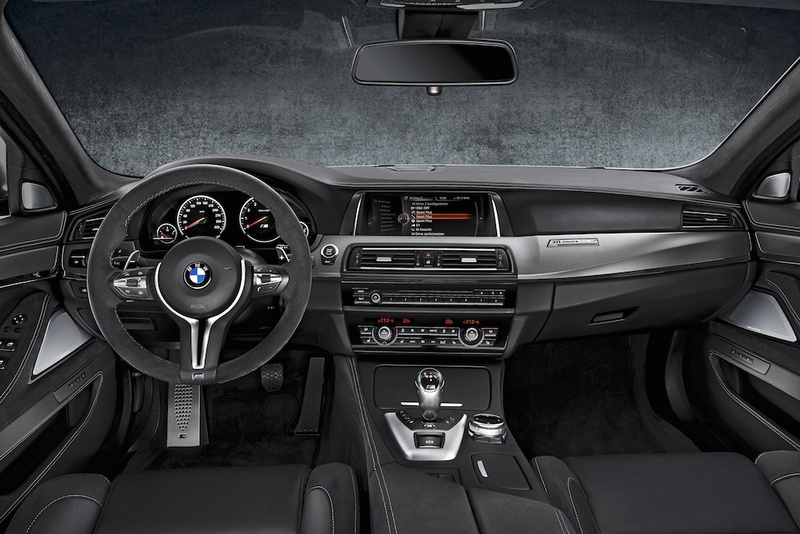 M Sport multifunction seats in Black Alcantara and leather are found in the front, whilst Alcantara is also found on the centre console, door panels and the steering wheel. A 16-speaker harmon/kardon stereo comes as standard with a 1,200-watt Bang & Olufsen sound system appears on the options list; we’d be ticking that box. The 30 Jahre Edition is on sale now, should you so wish to buy one for yourself or as a gift for someone else, perhaps? Next Post Audi R8 LMX Limited Edition – Lasers Fitted as Standard!